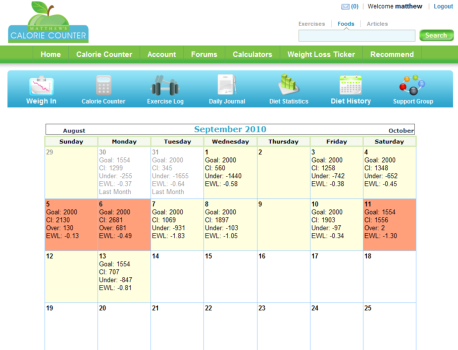 Select a day number to get a pop up that will show you what you ate that day, burned calories and that day’s dietary statics and information. You can also view your journal entry for that day. Each day is colored to represent, Weigh In Days, Days that you are within your Daily Calorie Limit and days that you have gone over.